Ted Miller is proud to announce the “birth” of Christmas Joy, his newest musical composition, a cheerful and enchanting song destined to mirror the popularity of Irving Berlin’s classic holiday standard, “White Christmas”. Singer and composer Ted Miller, the popular Miami native who has created hundreds of musical compositions, wrote the lyrics and created the score in collaboration with his long-time musical team, led by Doug Emery, Dan Warner and Lee Levin. The result of this collaboration is a lovely and spirited holiday song that will bring children and adults of every age; feelings of love, happiness and excitement to all. The use of lovely orchestral strings, uniquely introduce the song,then lead into an exciting and invigorating chorus that sets feet jumping, hands clapping, and emotions on fire. The result of this happy mélange marries the celebrations of Christmas, Hanukkah, and New Year in households throughout the world. Ted Miller’s “Christmas Joy” will enlighten your heart and brighten your holidays. The arrival of “Christmas Joy” could not come at better time, bringing joy to all, even while all sorts of terrible things occur throughout the world. “Christmas Joy,” has been released as a single, but will also be featured on Miller’s new album titled “Made In America”, which includes the title track of his patriotic ode to America’s military power, economic vitality and innovative leadership. It also pays tribute to the men and women who choose to serve our country at great personal risk and sacrifice. A percentage of the revenue earned from sales of all songs sold by Ted Miller Music, Inc. will be donated to American Gold Star Mother’s, Inc.
(GoldStarMoms.com), ToysForTots.Org and several other (501c3) non-profit organizations. 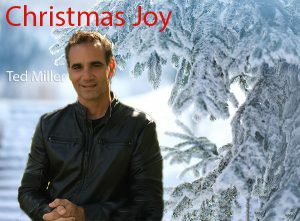 “Christmas Joy” and “Made In America” are now available and may be downloaded from iTunes and most online stores. CLICK HERE – BUY NOW! Ted Miller is a proud American who has been an active supporter of America’s military and veterans for many years in both song and action. 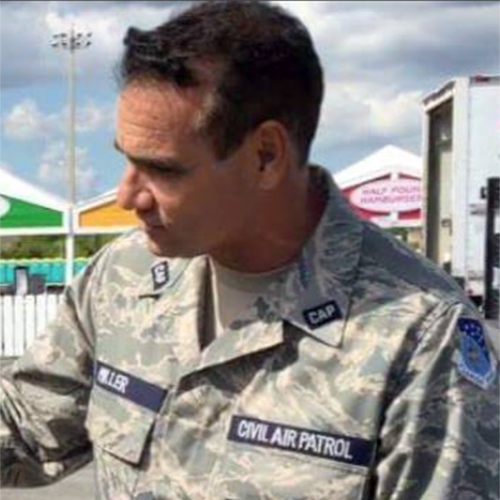 He is a proud member and 2nd Lieutenant in the Civil Air Patrol, which today serves as the official civilian auxiliary of the United States Air Force (USAF). He is also a long time member of the U.S. Air Force Association. Ted has been honored nine times in the Congressional Record, United States Congress, U.S. House of representatives for his service and dedication in serving and honoring America’s military veterans in personal support, song and financial contributions as a civilian volunteer. Ted has participated in several hundred benefit events and charity concerts over the years, and has performed for many dignitaries in the U.S. from around the world. He performed as part of the VA-NMMG series on Capitol Hill for Members of Congress. He introduced a breathtaking rendition of an original single, “America: Red, White, and Blue for Life, at a dinner concert performed for the American Gold Star Mothers National Banquet in Washington, D.C.
Ted was born and raised in Miami, FL. and has spent considerable time in New York. His mother is a New York native and father originally born in Virginia and a proud U.S. Army Veteran. He is also very proud of his greek heritage. When not actively involved in Civil Air Patrol assignments and volunteering for our military and veterans, Ted will often be conducting business affairs, writing and recording music, spending time on the tractor, or is often found exercising in and around his family farms or along the beautiful beaches in sunny south Florida and in upstate New York where he enjoys spending time with family and close friends. Ted first recorded with the London Symphony Orchestra at London’s famed Abbey Road Studios and has recorded hundreds of songs over the years. Ted has collaborated with his very close musician friends industry greats Dan Warner, Doug Emery, Lee Levin and Mike Fuller to create his newest single “Christmas Joy” to eventually be included as a bonus track on his most recent album “Made In America,” which includes his patriotic single titled “Made in America.” The album consists of 12 songs and will eventually include “Christmas Joy.” The album highlights Ted’s diversity as an artist and writer in many genres including adult contemporary love song ballads, country music, pop rock, soul, latin fusion and all American Rock n’ Roll. After graduation from college, Ted initially pursued a career in music as a hobby, which had long been a love as a child having first started playing the drums. He also spent years as a farmer growing tropical fruits and flowers in sunny south Florida. Simultaneously, Ted used his intimate familiarity in real estate in both Miami and New York to profitably buy and sell real estate in partnerships and as a consultant for many years. 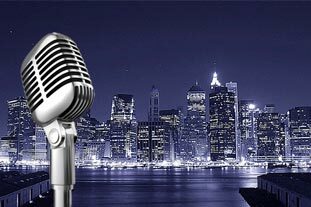 Ted also remains in the process of writing and recording many new songs as he has over the years and is also currently is in the planning stages in partnership in New York State’s Hudson River Valley to venture in a major real estate development as he remains active as a real estate consultant in Florida as well as New York’s Hudson River Valley. Ted is a Miami, FL, native and attended Gulliver Academy, Gulliver Preparatory High School and Miami Killian Senior High. He graduated from Miami Killian Senior High School in 1994. Ted attended Fairleigh Dickinson University in Teaneck, N.J. on a tennis scholarship during his first year of college. He attended Florida International University (FIU); Miami FL. as a sophomore and graduated from FIU with a Bachelor of Science in International Business and Marketing. I thank you for this opportunity in sharing my song. “Made In America” is by far the most exciting and invigorating song and album of my career that I have written and recorded up till now. I plan to travel and perform this song for our soldiers anywhere they are stationed in America and around the world. I dedicate this song to all our brave military men and women in uniform, police officers, fire fighters, and all first responders, including all verterans who selflessly defend and have defended our enduring freedom here in America each and every day of our lives! Your unprecedented service, dedication, courage and strength is the backbone of the woven fabric of our nation that will never tear and represents the steel and iron bond of a nation that will never bend or break. Thank you for your service! Never forgetting our fallen heroes who have made the ultimate sacrifice, may your memories be forever eternal! My love, dedication and devotion to each of you and your families will forever remain steadfast. “Made In America” by Ted Miller is now available on iTunes. Please join me in supporting www.ToysForTots.org and American Gold Star Mothers, www.GoldStarMoms.com , Mothers who have lost their sons and daughters while in the service of our country. Join me in honoring the selfless brave men and women in uniform who have made the Greatest Sacrifice for our Nation. May each of their memories be forever eternal.